Este modelo mede 183 cm e veste tamanho M. O peitoral mede 96 cm e a cintura 71 cm. Retro design inspires this graphic tee. 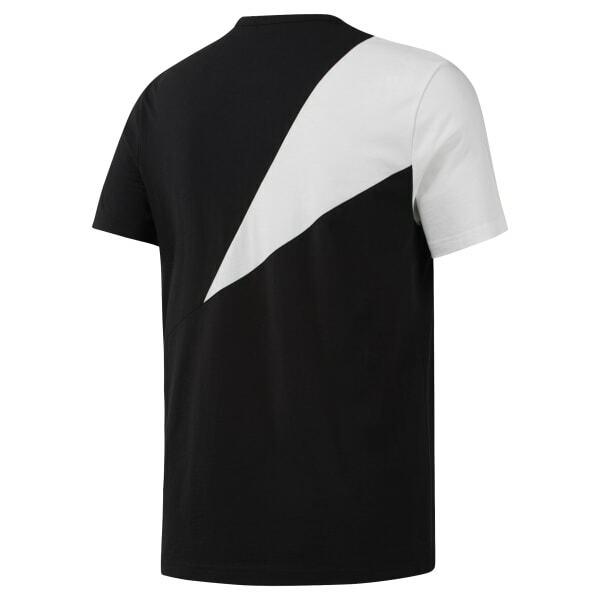 The men's t-shirt features geometric colorblocks for a bold look. It's made of all-cotton jersey fabric for a soft, comfy feel.